Today, EDRi joined forces with 72 other civil society organisations from the five continents of the world to ask European Telecom Regulators to uphold net neutrality in the current negotiations about the future of the Open Internet in the European Union. The Body of European Regulators of Electronic Communication (BEREC) and the 28 telecom regulators are currently negotiating guidelines that will clarify the recently adopted net neutrality law in the EU. A public consultation will be launched by BEREC in June, lasting for twenty working days, as a result of which the final guidelines will have to be published by 30 August 2016.
, said Joe McNamee, Executive Director of European Digital Rights (EDRi). Strictly non-discriminatory traffic management and a clear statement opposing intrusive traffic management that would restrict internet users’ privacy. In order to fix some of the ambiguities of the EU net neutrality regulation, on 31 March EDRi and the SaveTheInternet coalition partners launched a consultation to give citizens more time to tell the regulators what they think about the open internet in Europe. EDRi is also part of RespectMyNet, which is a campaign to encourage internet users to report net neutrality violations all over the European Union. 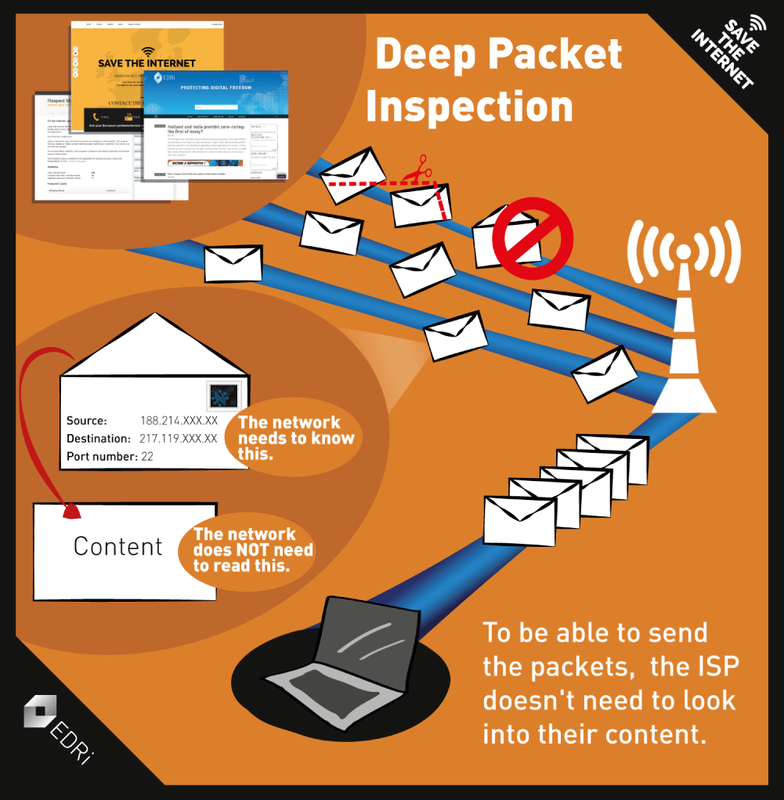 Deep Package Inspection: what is it and what does the EU regulation say?